Born and raised in Houston, filmmaker Paloma Martinez first picked up a camera as part of her work in labor and immigrant rights activism in Texas. Her documentary work hones in on the small but consequential moments that shape our lives. She is currently pursuing an MFA in Documentary Film and Video at Stanford University. With Crisanto Street, I set out to make a statement about the deep bonds forged through tough times. I write this from the heart of Silicon Valley, where I filmed Crisanto Street, minutes away from Google headquarters. 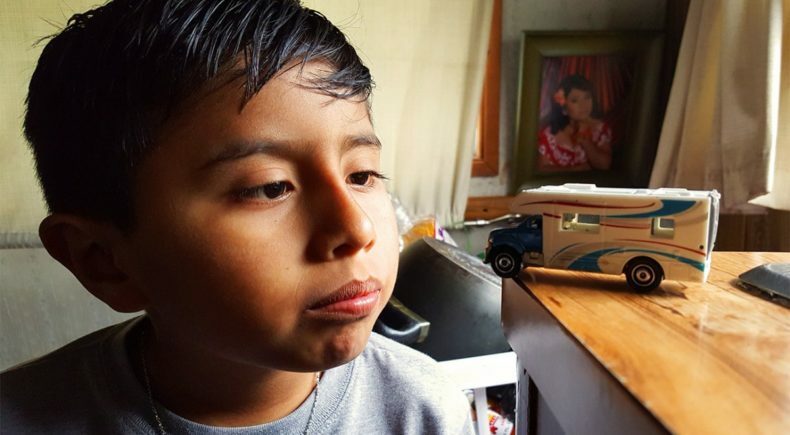 Amid the highest real estate prices in the United States, families like Geovany's are pushed further and further into the margins. When I met Geovany while he was playing in the park across the street from his RV, I immediately wanted to give him the tools to express his effervescent creativity. Through his footage, I wanted to show the beauty of his experience and the intimacy of familial love.